Following an initial post last week, WHIH Newsfront is back wth a new report hosted by Christine Everheart on convicted felon Scott Lang, set to be released from San Quentin this month. Of course, if you’re not a resident of the Marvel Cinematic Universe, you might recognize Everheart as actress Leslie Bibb, reprising her Iron Man and Iron Man 2 role, and Scott Lang as Paul Rudd, the star of director Peyton Reed’s Ant-Man. 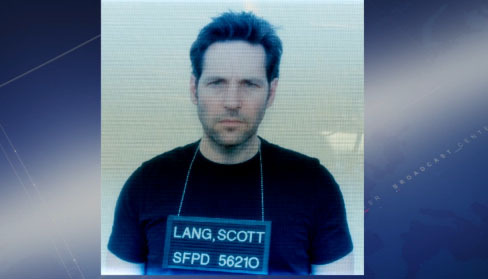 Scott Lang’s story isn’t all the video has to offer, however! Check out the news ticker at the bottom, which offers updates on Thomas Kretschmann’s Baron von Strucker (who appeared in Avengers: Age of Ultron), Natalie Portman’s Jane Foster and more! The final headline even reads “Earthquake hits southern Africa.” As Marvel fans well know, that’s the location of Wakanda, home of the Black Panther. Is this earthquake something we’ll be seeing the effects of in next summer’s Captain America: Civil War? Ant-Man also stars Evangeline Lilly (“LOST,” The Hobbit: The Battle of the Five Armies) and Michael Douglas (The Game, And So It Goes) and brings a founding member of The Avengers to the big screen for the first time. Armed with the astonishing ability to shrink in scale but increase in strength, master thief Scott Lang (Rudd) must embrace his inner-hero and help his mentor, Dr. Hank Pym (Douglas), protect the secret behind his spectacular Ant-Man suit from a new generation of towering threats. Against seemingly insurmountable obstacles, Pym and Lang must plan and pull off a heist that will save the world. Also starring Corey Stoll, Bobby Cannavale, Michael Peña, Tip “T.I.” Harris, Wood Harris, Judy Greer and David Dastmalchian, Ant-Man features a script by Edgar Wright, Joe Cornish, Paul Rudd and Adam McKay and is directed by Peyton Reed. Ant-Man opens in theaters on July 17.